Most analyses of the Hamas-Israel prisoner exchange have focused on the benefits and challenges for the Hamas-led Gaza government, Israel, and the Ramallah-based, Fatah-led Palestinian Authority (PA). But the prisoner exchange should also be seen against the backdrop of how each actor is seeking to position themselves in the region’s shifting geopolitics, with a view to the future. For Israeli Prime Minister Benjamin Netanyahu, this was not just an effort to win popularity at home and overcome isolation abroad. It was also a goodwill gesture to Turkey, still seething from the May 2010 flotilla attack, and from Israel’s arrogance in refusing to formally apologize. And it was an Israeli olive branch to Egypt after Israeli troops killed six of its soldiers in August. Critically, the prisoner exchange was an effort to cozy up to Egypt’s Supreme Council of the Armed Forces (SCAF) and return to the collaborative, collusive relationship it held with the Mubarak regime in years past. It may also speak to awareness on the part of Israel that any future Egyptian government may be more hostile and that it is better to negotiate with SCAF than to wait any longer. As for Egypt’s SCAF, it was eager to redeem itself after a bloody week involving a protest, which turned into a massacre with the deaths of more than two dozen Egyptian civilians, many of them Copts. SCAF’s success in mediating the prisoner release has helped it to re-establish its legitimacy domestically as well as regionally. Egypt is also engaging in a prisoner swap of its own, releasing Israeli-American Ilan Grapel, held since June, in exchange for 22 Egyptians in Israeli jails. Similarly Syria, which accepted around 15 deportees, was happy to shift the limelight away from the popular uprising that President Bashar Assad continues to suppress with increasing brutality. Turkey, too, opened its doors to some of the freed Palestinian prisoners. In addition, they played a critical role in mediating the prisoner exchange, acting as the go-between the two parties. It is no secret that Turkey desires a more dominant role in the new Middle East, replacing traditional power brokers like Egypt, and that many Palestinians – at least in Gaza – welcome this with open arms. Erdogan is already tremendously popular in Gaza. And, following the prisoner exchange, Ankara received public praise from Shimon Peres for their efforts. Seeking to capitalize on this momentum and do more damage control, Ehud Barak on Wednesday described the mobile home aid relief Israel is sending to the earthquake ravaged and heavily Kurdish eastern regions of Turkey as an attempt at "turning a new leaf" in their soured relationship. In the end, Israel used the Shalit deal to hand out party favors to all sides – while still giving Egypt the bigger share of the pie. Israel still favors an Egypt that is accommodating, predictable, and under its control to a more dominant, influential Turkey. What will the longer-term impact of the prisoner exchange be, closer to home? Will the regional dimension impose two triangles of power – Israel-Hamas-Egypt and Israel-Fatah-US – in each of which Israel is a controlling party, or will it push Hamas and Fatah closer together? The answer lies with the Palestinians themselves. Amidst increasing disillusionment with its tough rule and at risk of irrelevancy, Hamas proved it is still a force to be reckoned with. Sooner or later, it was thought, a collaborator would hand over the details of Gilad Shalit’s whereabouts and vie for his share of the “10 million dollars” that was being offered on a regular basis via chipper robocalls from the Israeli Defense (read Occupation) Forces, or the Israeli military would find him. But in what can be seen as perhaps the Qassam Brigade’s crowning achievement, Shalit’s whereabouts were Gaza’s best kept secret for five years, one to which not even top Hamas brass were privy. In some ways, the exchange was comparable to the coup Hamas pulled off by securing the release of BBC correspondent Alan Johnston, who was kidnapped by armed gangs before Hamas ousted Fatah from Gaza in 2007. In securing that release, Hamas showed it was able to impose law and order at a time when it needed to counter the images of internecine warfare. With the Shalit release, Hamas has positioned itself as a disciplined force able to capture an Israeli soldier and keep him as a prisoner of war, and to negotiate a heavy price for his release as an equal with the enemy. In both cases, Hamas showed it could not be sidelined. Hamas leader Khalid Meshal emphasized that the prisoner release agreement had nothing to do with petty factional politics, describing it as a “national accomplishment.” Aljazeera’s Marwan Bishara called the freed prisoners the “lost faces of this conflict” because of the length of time they had served for resisting the occupation. Yet it was difficult not to see the release as the Hamas answer to PA president Mahmoud Abbas’s much-touted bid for state membership of the United Nations. It was bad timing for Fatah. The rapidly dissipating momentum generated by the UN membership bid no longer helped bolster its popularity amidst increasing Palestinian frustration over the lack of a unified vision and representative and accountable government. Although most Palestinians saw the prisoner exchange as a resounding victory and a tour de force for Hamas, Hamas has, nonetheless, been criticized for its inability to secure the release of top names like popular Fatah leader Marwan Barghouti and Ahmed Sa’adat, secretary general of the Popular Front for the Liberation of Palestine. 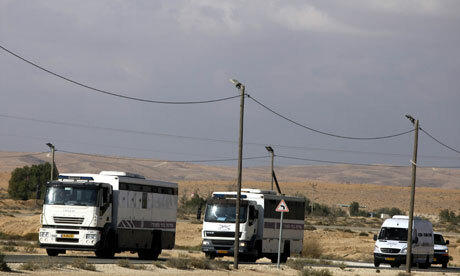 Moreover, between 5,000 and 8,000 Palestinian prisoners remain in Israeli detention, many without charge. Criticism of the deal also focused on the murky alliances it cemented beneath the surface, and the distraction from the relentless Israeli colonization. On the same day that the Israeli government approved the deal, Netanyahu announced that he had decided to form a committee to find a way to legalize the construction of illegal settlement outposts on private Palestinian land, and that 2,200 new Jewish-only settlement “housing units” would be built on occupied East Jerusalem. Furthermore, although Gilad Shalit may be free, Gaza is still very much under siege, as it has been with increasing severity since 1991. The prisoner exchange deal was met with ecstatic crowds in besieged Gaza, where any good news is a welcome break from the unrelenting gloom. But the people are conscious that Hamas has now given up its only card. Although Israel ostensibly “eased” the closure following the May 2010 Israel attack on the Freedom Flotilla when it killed nine civilians, eight Turks, and a Turkish-American, and further easing was supposedly part of the Shalit package, the UN and international non-governmental organizations say that there has been little to no real change on the ground. Israel continues to ban the entry of construction materials into Gaza, and prohibit the export of goods from Gaza, as well as the exit of students from Gaza to attend universities in the West Bank or to join relatives there. It has been reported that Abbas and Meshal are to meet in November to unblock the Fatah-Hamas reconciliation deal reached in May but never implemented. The question is whether and how the victory of the prisoner release can be used to achieve larger goals, including freeing the remaining Palestinian prisoners, ending Israel’s siege of Gaza once and for all, withdrawing from the West Bank and East Jerusalem, and, most importantly, securing Palestinian unity with a new representative national leadership. If these goals are not achieved then the Shalit deal will simply be another trophy to add to the factional display case.